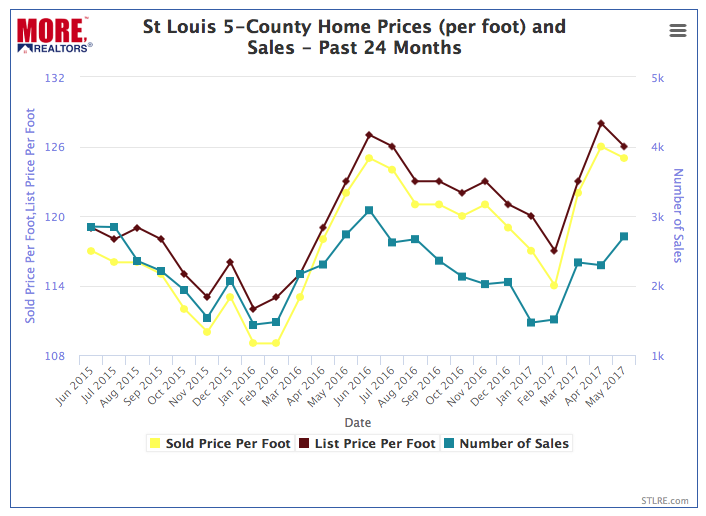 There were 2,707 homes sold during May within the St Louis 5-county core market down slightly from May 2016 when there were 2,736 homes sold according to the latest data from MORE, REALTORS (see chart below). The median price of homes sold in the St Louis core market during May 2017 was $125 per square foot, an increase of 2.5% from May 2016 when the median price of homes sold in the St Louis core market was $122 per square foot. 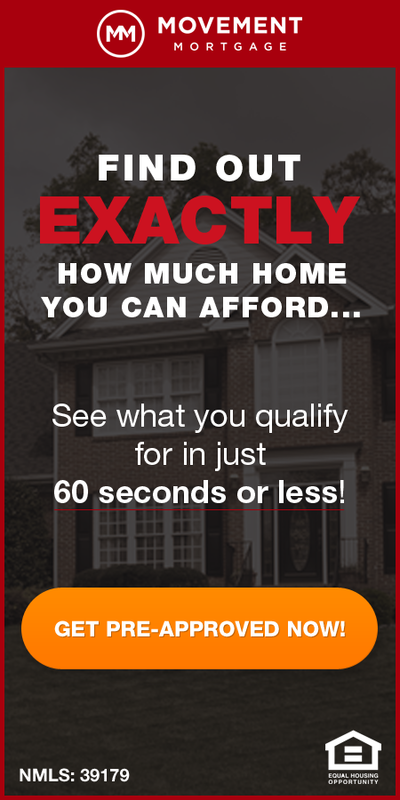 As I often mention, doing a year-over-year comparison of home sales and prices for one month is not the most accurate way to really get a look at the real estate market, however, it can be indicative of a changing trend though. 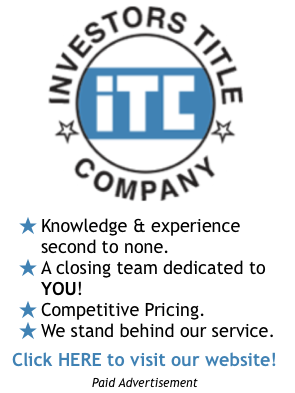 To get a better look at the market, I suggest comparing the most recent 12-month period with the prior 12-month period, which is exactly what we do in our STL Market Report, shown below. 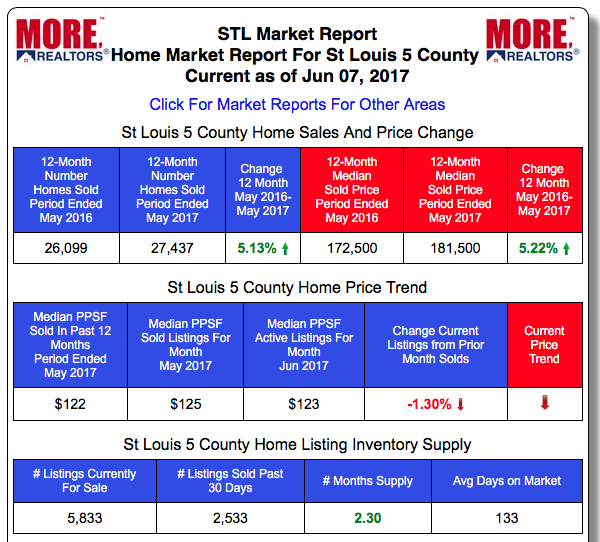 As the table reveals, there were 27,437 homes sold in the 5-county core St Louis market during the 12-month period ending May 31, 2017, an increase of 5.13% from the prior 12-month period when there were 26,099 homes sold. As the table also shows, the median home price increased 5.22% during this period, although the current pricing trend for active listings shows a decline.